What is the difference between a male and a female tummy tuck? Many of the basic technical steps involved in abdominoplasty are the same for both men and women. The difference between a male tummy tuck and a female tummy tuck lies in the contouring of the torso. Whereas female patients want an hourglass appearance, male patients desire a more masculine hip to waist ratio. How is the tummy tuck for men Performed? There are several types of tummy tuck surgery. The choice is based upon your anatomy and aesthetic goals. Some men only need liposuction to treat their trouble spots. Others need tummy tuck surgery or surgery plus liposuction. Traditional tummy tucks tighten the muscle and trim excess skin. The belly button is then moved into its new, corrected position. The scar can usually be hidden under clothing. Some men require treatment of their “love handles” at the same time to prevent them from standing out (due to the flat appearance of the abdomen following tummy tuck surgery). 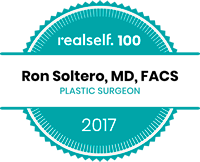 During your tummy tuck procedure; Dr. Soltero will perform careful liposculpting of your abdomen to define a six-pack. If he feels that your abdominal muscles are weakened or stretched, he will perform abdominal muscle tightening, or plication, during your tummy tuck. He will meticulously plan your incision so that the resulting scar will be well hidden beneath your clothing. Not all men are candidates for tummy tuck or liposuction to improve the appearance of their mid-section. For example, men often have large deposits of “intra-abdominal fat” located beneath their abdominal muscles and around their intestines. This cannot be corrected by a tummy tuck or male liposuction surgery. Instead, men dealing with these issues can benefit from diet, exercise, or weight loss surgery. Do no take any medication that contains aspirin, vitamin E, weight loss medication or any Chinese herbs for 2 weeks before the surgery. A complete drug list will be provided on your pre op date. Arrange for an adult to drive you to and from your surgery. You CAN NOT take a taxi home. You must also arrange for an adult to stay with you for 24 hours after the tummy tuck. Do not smoke for at least 2 weeks prior to the surgery. You will be fitted with a compression garment after surgery; you must wear this continuously for 6 weeks. Avoid heavy lifting, exercise or excessive movement for 4 weeks. You may resume all normal activities after 4 weeks of the tummy tuck. 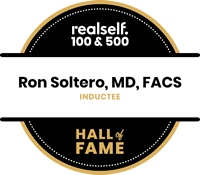 If you decide to move forward, Dr. Soltero will provide you with a list of important preoperative instructions. This will include avoiding certain medications, including aspirin and other no steroidal anti-inflammatory drugs, that can thin your blood and increase your risk of bleeding during and after your tummy tuck surgery. We will provide you with all you need to know during your pre op appointment.